Too busy to visit the library? You don't need to come in to take advantage of our many resources and databases. Supersize your Library card with digital access to electronic and audio books, magazines, movies, and music available 24/7. Browse, download, or place items on hold. Keep track of titles you’ve borrowed and plan to borrow and set custom notifications via text and email. Rate, review and share titles. ACCESS 2.6 million digital titles from over 5,000 publishers. Download eBooks, audiobooks, and more from your local public library - anywhere, anytime. All you need is a library card. Try Libby, the new library app built by OverDrive for enjoying ebooks and audiobooks! Discover a world of information. 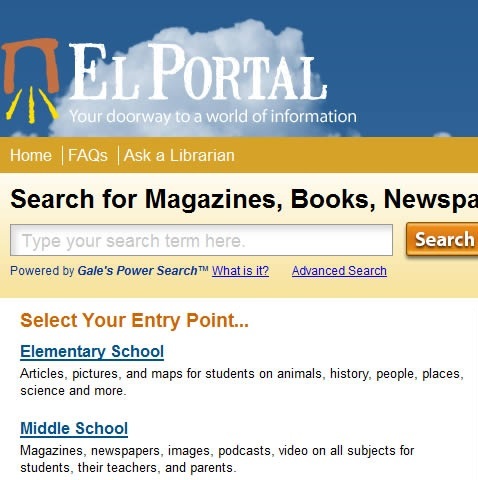 Get free 24/7 access to resources such as newspapers, magazine and journal articles, and books such as encyclopedias. Materials are available for all age ranges and interests. TumbleBookLibrary is an online collection of animated, talking picture books teaching young children the joys of reading. Access over 57,000 free eBooks. Choose among free ePub books, free kindle books, download them or read them online at Project Gutenberg. No fee or registration is required.